So, you love trading, and gambling too. Isn’t it a deadly combination? Has somebody thought about it? Nothing beats gambler’s passion than fantasy games. The gamers and traders have a lot in common yet they are so different. Many People in the trading are in a hurry to net profit. They are the speculators who lose more than they earn. Professional traders and brokers gain patiently in the market. Although, there exist quite a few problems in the field and a few of them are mentioned below. There is a conflict of interest in the trading world, which makes people highly sceptical of the environment in which people trade. The Opaqueness about the process and the internal working of the system makes people wary of the trading world. The steps are very easy and users can just follow the couple of steps to work along. The top contests will reward the winners with loads of rewards. The time period of the contests vary and can usually go for around months. For the players, free contests have also been introduced. Secondly, the users will have to create their portfolio. There are different asset classes and users can choose from these classes. The class varies and includes stocks, crypto, and commodities. The token sale will start from 25th January 2018 and will continue until 25th February 2018. 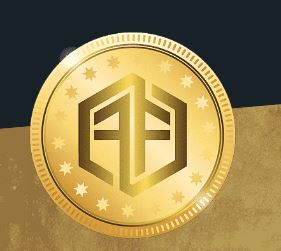 The Fund Fantasy platform will use Fund Tokens (FUNDZ) to conduct all its transactions and payments. One ETH will be equivalent to 1,000 FUNDZ. So far, the total supply of the token sale is assumed as 80,000,000 FUNDZ. The FUNDZ can be used for multiple purposes which especially includes buying tickets to participate in different contests. The Fund allocation will go somewhat like this. To create a Peer to Peer Platform for Investment fantasy, they are conducting an ICO. A total of 80,000,000 FUNDZ tokens will be available for token sale. People can participate in the ICO by buying tokens during the pre-sale, or main sale of the ICO. The ICO starts from 25th January 2018 and continues until 25th February 2018. The team behind this project is experienced in the field of trading and investment. We hope to see a great experience for the users.